Beijing’s air and space components are finally on the verge of giving the country’s leaders something they have dreamed of since before the founding of the People’s Republic of China (PRC): a reliable instrument of national power. China is the first developing nation to have developed comprehensive aerospace capabilities. Even its long-lagging aviation industry is finally reaching internationally-capable levels. The commercial dynamism far exceeds anything that Cold War China or the Soviet Union could ever have produced. The metric of “full-spectrum” aerospace development offers insights into a vital subject: what type of power will China become? 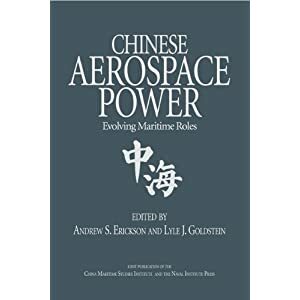 Comparing and explaining varying levels of aerospace technology attainment among developing great powers—primarily China, with comparative case studies involving India and Brazil—offers insights into what leads to different kinds of aerospace development, and why different great powers adopt different technological strategies to further their power. This lecture will examine both areas of strength and ongoing limitations in Chinese aerospace capabilities to yield a nuanced sense of possible futures for China as an actor in the international system. Dr. Andrew S. Erickson is an associate professor in the Strategic Research Department at the U.S. 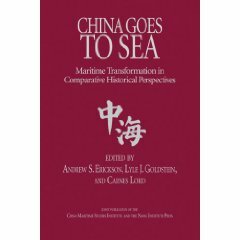 Naval War College and a founding member of the department’s China Maritime Studies Institute (CMSI). He is also a Fellow in the National Committee on U.S.-China Relations’ Public Intellectuals Program. Erickson received his Ph.D. and M.A. in international relations and comparative politics from Princeton University. 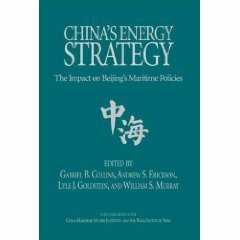 He is coeditor of, and a contributor to, the Naval Institute Press book series, “Studies in Chinese Maritime Development,” the fourth and latest volume of which is China, the U.S., and 21st Century Sea Power (forthcoming 2010). 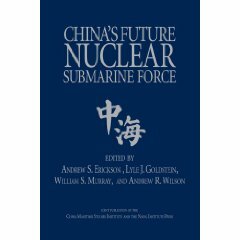 During 2010-11, Erickson is a Fellow in the Princeton-Harvard China and the World Program, where he is working on a book project concerning Chinese aerospace development. He can be reached through www.andrewerickson.com.